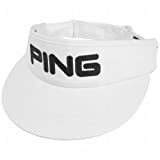 63% polyester, 34% cotton, 3% PU Spandex, Sonic-weld applique of PING logo on front, Flex Fit closure, Breathable mesh backing, Woven PING logo label on back, PING Sensor Cool Technology in the headband wicks moisture away to keep you cool, dry and comfortable during the hottest rounds. Featuring the new G30 logo, the Ping Structured Fitted Cap gives players a professional look and great fit with the finest quality materials, durable construction, and modern design. This hat is tour authentic, wear the hat the PGA Ping Staff Professionals wear. Featuring the new G30 logo, the 2014 Ping Structured Fitted Cap gives players a professional look and great fit with the finest quality materials, durable construction, and modern design. This hat is tour authentic, wear the hat the PGA Ping Staff Professionals wear. Giving players a professional look and great fit with the finest quality materials, durable construction, and modern design. 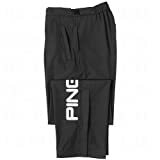 Ping continues to ensure they remain the standard for quality, innovation, performance, and comfort. 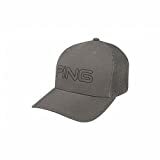 Ping introduces the Tour Unstructured Sensor Cool adjustable cap. Giving players a professional look and great fit with the finest quality materials, durable construction, and modern design. This hat is offered in a variet of eye catching colors and is sure to complete any golf outfit with class and style. 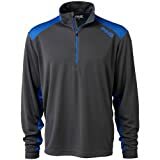 Find more Ping Golf Clothing products on Amazon!